Brick Gothic (German: Backsteingotik, Polish: Gotyk ceglany) is a specific style of Gothic architecture common in Northern Europe, especially in the regions around the Baltic Sea, which do not have natural stone resources. The buildings are essentially built using bricks. Buildings classified as Brick Gothic (using a strict definition of the architectural style based on the geographic location) are found in Belgium, Netherlands, Germany, Poland, Lithuania, Latvia, Estonia, Russia (exclave of Kaliningrad former East Prussia ), Sweden and Finland. As the use of baked red brick arrived in Northern Europe in the 12th century, the oldest such buildings are classified as the Brick Romanesque. In the 16th century, Brick Gothic was superseded by Brick Renaissance architecture. Brick Gothic is characterised by the lack of figural architectural sculpture, widespread in other styles of Gothic architecture; and by its creative subdivision and structuring of walls, using built ornaments and the colour contrast between red bricks, glazed bricks and white lime plaster. Many of the old town centres dominated by Brick Gothic, as well as some individual structures, have been listed as UNESCO World Heritage sites. 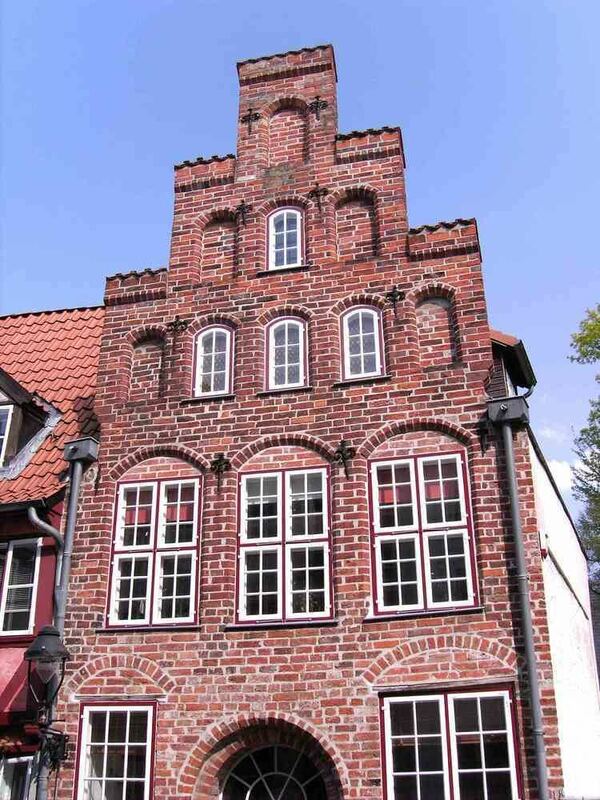 Different from other styles, the definition of Brick Gothic is based on the material (brick), and by a more strict definition, a geographical limitation (countries around the Baltic Sea). In addition, there are more remote regions with brick buildings bearing characteristics of this architectural style further south, east and west—these include Bavaria, and western Ukraine and Belarus, along with the southern tip of Norway. In the course of the medieval German eastward expansion, Slavic areas east of the Elbe were settled by traders and colonists from the overpopulated Northwest of Germany in the 12th and 13th centuries. In 1158, Henry the Lion founded Lübeck, in 1160 he conquered the Slavic principality of Schwerin. This partially violent colonisation was accompanied by the Christianisation of the Slavs and the foundation of dioceses at Ratzeburg, Schwerin, Cammin, Brandenburg and elsewhere. The newly founded cities soon joined the Hanseatic League and formed the "Wendic Circle", with its centre at Lübeck, and the "Gotland-Livland Circle", with its main centre at Tallinn (Reval). The affluent trading cities of the Hansa were characterised especially by religious and profane representative architecture, such as council or parish churches, town halls, Bürgerhäuser, i.e. the private dwellings of rich traders, or city gates. In rural areas, the monastic architecture of monks' orders had a major influence on the development of brick architecture, especially through the Cistercians and Premonstratensians. Between Prussia and Estonia, the Teutonic Knights secured their rule by erecting numerous Ordensburgen (castles), most of which were also brick-built. Brick architecture became prevalent in the 12th century, still within the Romanesque architecture period. Wooden architecture had long dominated in northern Germany but was inadequate for the construction of monumental structures. 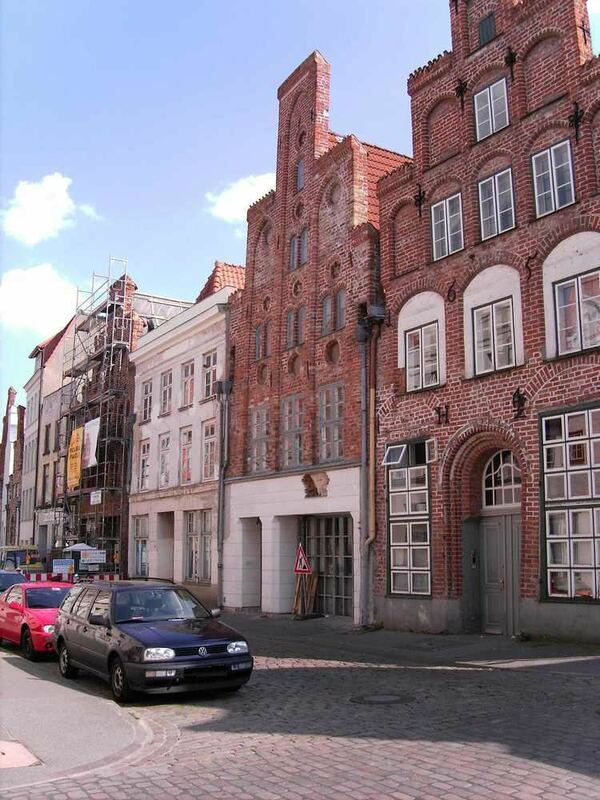 Throughout the area of Brick Gothic, half-timbered architecture remained typical for smaller buildings, especially in rural areas, well into modern times. The techniques of building and decorating in bricks were imported from Lombardy. Also some decorative forms of Lombard architecture were adopted. In the areas dominated by the Welfs, the use of brick to replace natural stone began with cathedrals and parish churches at Oldenburg (Holstein), Segeberg, Ratzeburg, and Lübeck. Henry the Lion laid the foundation stone of the Cathedral in 1173. In the Margraviate of Brandenburg, the lack of natural stone and the distance to the Baltic Sea (which, like the rivers, could be used for transporting heavy loads) made the need for alternative materials more pressing. 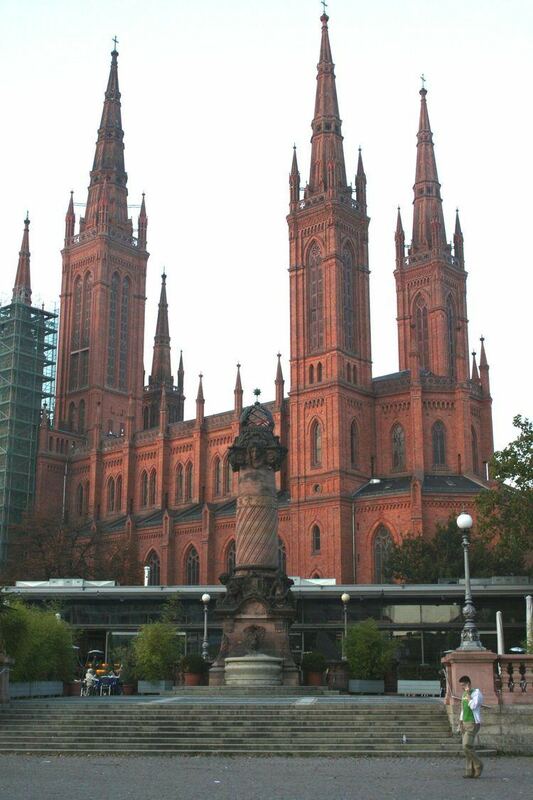 Brick architecture here started with the Cathedral of Brandenburg, begun in 1165 under Albert the Bear. 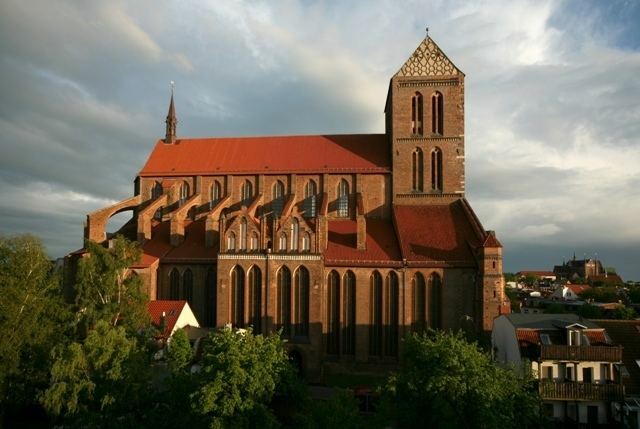 Jerichow Monastery ( then a part of the Archbishopric of Magdeburg ), with construction started as early as 1148, plays a key role regarding Brick Gothic in Brandenburg. Romanesque brick architecture remained closely connected with contemporary stone architecture and simply translated the latter's style and repertoire into the new material. In contrast, Brick Gothic developed its own typical style, characterised by the reduction in available materials: the buildings were often bulky and of monumental size, but rather simple as regards their external appearance, lacking the delicacy of areas further south. Nonetheless, they were strongly influenced by the cathedrals of France and by the gothique tournaisien or Schelde Gothic of the County of Flanders. Later, techniques that led to a more elaborate structuring of the churches became prevalent: recessed wall areas were often painted with lime plaster, creating a marked contrast to the darker brick-built areas. Furthermore, special shaped bricks were produced to facilitate the imitation of architectural sculpture. Since the bricks used were made of clay, available in copious quantities in the Northern German Plain, they quickly became the normal replacement for building stone. The so-called monastic format became the standard for bricks used in representative buildings. Its bricks measure circa 28 x 15 x 9 cm to 30 x 14 x 10 cm, with interstices of about 1.5 cm. In contrast to hewn-stone Gothic, the bricks and shaped bricks were not produced locally by lodges (Bauhütten), but by specialised enterprises off-site. The use of shaped bricks for tracery and friezes also can be found in some buildings of northwestern Gothic brick architecture. Virtuous use of these elements is shown in some Gothic buildings in northern Italy, where the highly sophisticated techniques originally had come from, developed in the Lombard Romanesque period. There, such brick decorations can even be found on buildings mainly erected in ashlar. Some Italian Gothic brick buildings have also friezes of terracotta. While in inner northern Germany and in Greater Poland natural stone was hardly available, shipping cities easily could import it. Therefore, St. Mary's Church in Lübeck, generally considered the principal example of Brick Gothic, has two portals made of sandstone, and the edges of its huge towers are built of ashlars, as normally typical for Gothic brick buildings in the Netherlands and the (German) Lower Rhine region. And the very slim pilars of its Briefkapelle (letters chapel) are of granite from Bornholm. In the Gothic brick towers of the churches of Wismar and of St. Nicholas' Church in Stralsund, stone is not used for masonry, but for contrast of colours. At St. Mary's of Gdańsk, all five lateral portals and some simple but long cornices are of ashlar. Brick architecture is found primarily in areas that lack sufficient natural supplies of building stone. This is the case across the Northern European Lowlands. 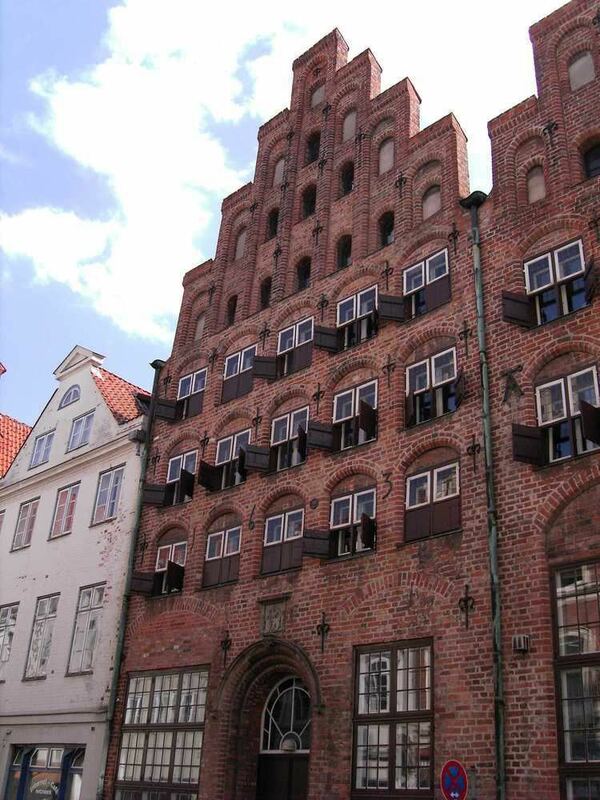 Since the German part of that region (the Northern German Plain, except Westphalia and the Rhineland) is largely concurrent with the area influenced by the Hanseatic League, Brick Gothic has become a symbol of that powerful alliance of cities. Along with the Low German Language, it forms a major defining element of the Northern German cultural area, especially in regard to late city foundations and the areas of colonisation north and east of the Elbe. In the Middle Ages and Early Modern Period, that cultural area extended throughout the southern part of the Baltic region and had a major influence on Scandinavia. The southernmost Brick Gothic structure in Germany is the Bergkirche (mountain church) of Altenburg in Thuringia. In the northwest, especially along Weser and Elbe, sandstone from the mountains of Central Germany could be transported with relative ease. This resulted in a synthesis of the styles from east of the Elbe with the architectural traditions of the Rhineland. Here, bricks were mainly used for wall areas, while sandstone was employed for plastic detail. Since the brick has no aesthetic function per se in this style, most of the northwest German structures are not part of Brick Gothic proper. The Gothic brick buildings near the Lower Rhine have more in common with the Dutch Gothic than with the northern German one. In Bavaria, there is a significant number of Gothic brick buildings, some in places without quarrys, like Munich, and some in places, where natural stone was available as well, such as Donauwörth. Several of these buildings have both decorations of shaped bricks and of ashlar, often tuff. Also the walls of some buildings are all brick, but in some buildings the base of the wall is of stone. Most of the churches share a common distinctive Bavarian Brick Gothic style. The Frauenkirche of Munich is the largest (gothic and totally) brick church north of the Alps. Examples include St. Martin's and two other churches at Landshut and the Herzogsburg (Duke's Castle) in Dingolfing. 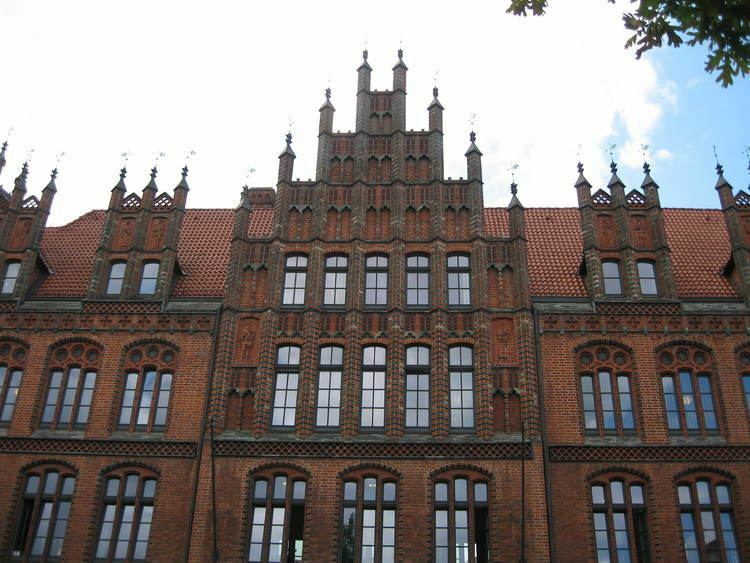 Brick Gothic in Poland is sometimes described as belonging to the Polish Gothic style. 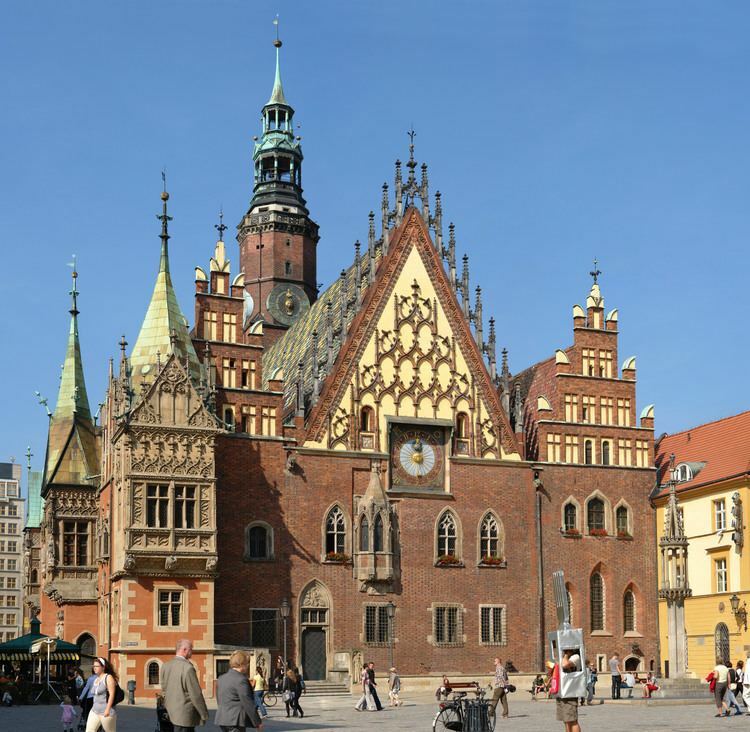 Though, the vast majority of Gothic buildings within the borders of modern Poland are brick-built, the term also encompasses non-brick Gothic structures, such as the Wawel Cathedral in Kraków, which is mostly stone-built. The principle characteristic of the Polish Gothic style is its limited use of stone work to complement the main brick construction. Stone was primarily utilized for window and door frames, arched columns, ribbed vaults, foundations and ornamentation, while brick remained the core building material used to erect walls and cap ceilings. This limited use of stone, as a supplementary building material, was most prevalent in Lesser Poland and was made possible by an abundance of limestone in the region—further north in the regions of Greater Poland, Mazovia and Pomerania the use of stone was virtually nonexistent. Much of the coast of the Baltic Sea in the period from XII century to 1637 belonged to the Duchy of Pomerania. Nowadays its territory is divided into two parts—middle and eastern in Poland and western-most in Germany. The most outstanding Gothic monuments in this area are Romanesque-Gothic Cathedral of St. John the Baptist in Kamień Pomorski, Cistercian abbey in Kołbacz, ruins of Jasienica Abbey in Police, ruins of Eldena Abbey in Greifswald, St. Mary's Church in Usedom, Castle of the Pomeranian Dukes in Darłowo, remnants of Löcknitz Castle, St. Nikolai cathedral in Greifswald, St. Nicholas' Church in Stralsund, St. Mary's Church in Stralsund, St. Mary and St. Nicholas churches in Anklam, St. Mary's Church in Stargard, St. Nicholas Church in Wolin, St. Peter's Church in Wolgast, Cathedral Basilica of St. James the Apostle in Szczecin, Cathedral of the Immaculate Conception of the Blessed Virgin Mary in Koszalin, Basilica of the Assumption of the Blessed Virgin Mary in Kołobrzeg and Church of Our Lady in Sławno and city halls in Stralsund, Szczecin (Old Town Hall) and Kamień Pomorski. The most important defense systems were located in Szczecin and Dąbie (present district of the city of Szczecin), Pyrzyce, Usedom, Greifswald, Anklam and Stargard with the water gate on Ina river called Stargard Mill Gate. In the 19th century, the Gothic Revival—Neogothic style led to a revival of Brick Gothic designs. 19th-century Brick Gothic "Revival" churches can be found throughout Northern Germany, Scandinavia, Poland, Lithuania, Finland, the Netherlands, Russia, Britain and the United States. Important architects of this style included Friedrich August Stüler in Berlin and Simon Loschen in Bremen. Although the style became popular especially from the 1860s onwards, one of the best known examples was completed in 1831, Friedrichswerder Church in Berlin by Karl Friedrich Schinkel. St Chad's Cathedral, Birmingham (1841) is another early example, by Augustus Pugin. The 1897 Mikkeli Cathedral in Mikkeli is an example in Finland, and St. Joseph's Church in Kraków, Poland is a late example of the revival style.